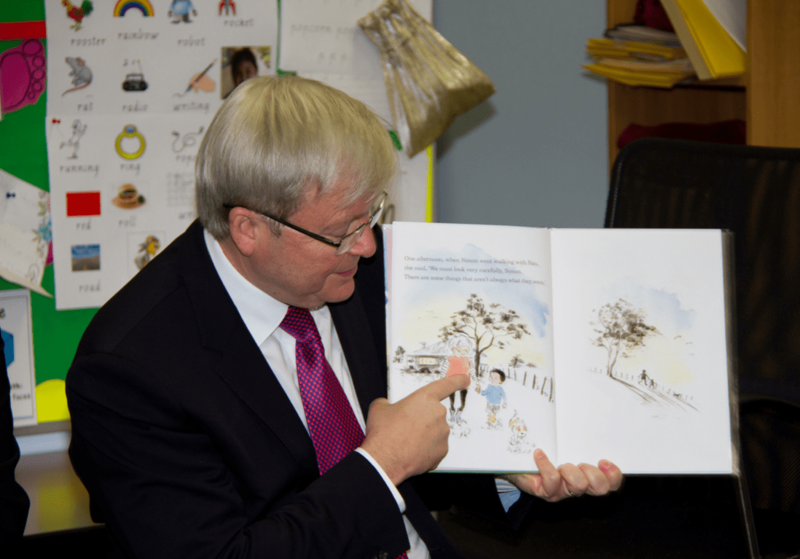 Australian Prime Minister Kevin Rudd visited Grade Foundation and One students at Brentwood Park Primary School classroom last week and his chosen picture book to read aloud was ‘With Nan’ by Cox and Blair. As you can see from the photos Rudd was as engaged in the story as the kids he was reading it to! Class room teacher, Sharlene Marsche, was also very impressed emailing Tania with the news exclaiming – ‘We love your book!’.